I thought, “Well it might not be amazing at first since the unsweetened logo is screaming at me.” But to my surprise, once mixed with my walnuts, apple, and hemp hearts it’s pretty much delicious! Okay! I can do this. I don’t need dairy. I am doing this cleanse for many reasons. One major reason is to survive the holidays sugar free. I’m talking candy, pastries, COOKIES, cakes, brownies. You name it, I inhale it. In addition, I also needed guidance in getting back in the kitchen and truly enjoying it. I need help with how to transition from vegetarian to a vegan lifestyle. It’s not just oh you’re dairy free! No, you need to understand what kinds of combinations of foods make a balanced meal. Proteins, carbs, and fats. My new daily mantra. My first snack will be the high protein macro at cashew caramel. Alright cleanse, I have officially begun this experience and I can say it is with great joy and thanks that we all have such a wealth of information and guided support right here in the heart of Santa Cruz. Don’t let food control you! Take charge of your life! You are worth it. One thing I will say about this plant powered cleanse Jocelyn has (exquisitely) prepared for us is how apparent it has become to me that I have really lost control over my diet. There were many tips I learned in the one hour class last night, most shockingly the information about coffee. Jocelyn pointed out that coffee is more acidic than our own stomach acid, so our bodies sacrifice our own digestive enzymes to balance the coffee’s acidity to make it digestible. Uhm wow. I do not like coffee for this reason now! All this time I have drank coffee not knowing what it is even doing to my body? Time to change this. I want to feel good about everything I put in. We are what we eat! Fact. Let’s do this. For quite some time, I have recommended EdenSoy products to many clients as a healthy food option for an environmentallyand socially conscious lifestyle. 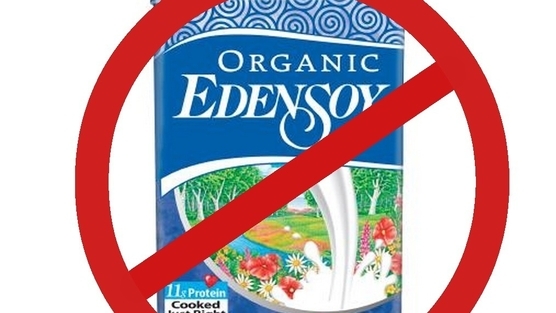 EdenSoy products still rank among my top choices from a nutritional point of view, but NOURISH cannot support a business that does not prioritize the personal health of its employees as well as the overall well-being of a society already burdened by resource constraints and overpopulation. As a business owner, and as a believer in equality, I feel it is my duty to boycott a company whose policies directly violate women’s rights by denying them basic reproductive healthcare. It is deeply disturbing to me when a host of resources (oral contraceptives, IUDs, condoms, vasectomies, tubal ligations, etc.) get viewed as unhealthy. Condoms alone drastically reduce the risk of millions of women contracting HIV and a host of debilitating STIs. Oral contraceptives, while not an ideal choice for every woman, are the difference between excessive blood loss and hemorrhaging due to uterine fibroids, and living a life of productivity with the option of preserved fertility. Condoms, IUDs, oral contraceptives, and surgical sterilization prevent millions of unwanted children from entering a foster care system which is overflowing with unplanned, undesired, and unadopted children. A healthier society does not result from denying its citizens birth control. Instead, it leaves women sick, disabled, hopeless, and in the case of HIV, terminally ill. Furthermore, the consequences associated with unwanted pregnancies, births, and STI’s negatively impact national health spending and resources. 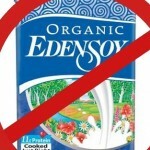 Until EdenSoy changes its policies to reflect a more equitable business philosophy, NOURISH, Inc. will continue to stand with the thousands of Americans who are boycotting EdenSoy products. Jocelyn Dubin, MS, RD, Co-founder and Owner of NOURISH, Inc. The practice of yoga is meant to be just that – a practice. Why then do many people who claim to “practice” yoga attend yoga classes once a week or less? Are you really practicing yoga if you skip the “practice” part? Yoga is a healthier and more effective activity if practiced on an ongoing basis, 3-6 times each week. Yet a large number of yoga students are unable or unmotivated to commit to a regular practice. In many ways the yoga community and the vast majority of the yoga studios are to blame. The yoga industry has built a standard economic model that incentivizes a kind of fair weather practice. Plenty of yoga studios discourage people from attending class on a regular, ongoing basis by pushing drop in and selling 5 or 10 class “packages,” at $12-$20 per class. Even those that do offer an “unlimited” option, do so at such exorbitant prices, that only the very wealthy can afford to practice. Compounding the problem, yoga studios that participate in GroupOn for their new client acquisition are also creating a market where yoga students are forced to constantly look for the next “introductory” deal that will allow them to attend a few classes at a new studio, rather than find one, affordable studio at which to develop an ongoing practice. The current yoga economy has created yoga studios and practitioners that together perpetuate the idea that yoga cannot be a part of a normal, consistent fitness and health routine, and is instead something to participate in when it’s convenient. This is one, of many, reasons why we are committed to expanding NOURISH accross the United States. All people, not just the wealthy and those with the discipline to practice at home, deserve the opportunity and the incentive to discover why a yoga practice is only a yoga practice when it can be, truly, practiced. This question, posed occasionally by friends and acquaintances, renders me speechless. Where do I begin, and how could I possibly formulate an adequate response? I was on the fence about teacher training to begin with. I was wary of yoga stereotypes, of taking on such a predictable Santa Cruz identity, of having to abandon my personality to be peaceful—boring—so I thought. Plus, it was a serious financial consideration. I oscillated between going for it and forgetting about it up until the last moment before the first course began, and something got me to click the button to register. It wasn’t necessarily an intelligent, super-informed decision, but I felt it supported by a trust in and pressing curiosity about the practice of yoga. After a few classes in the first of the six courses, I found myself beaming every time I walked in the door at NOURISH. Even after long days at school I would get a second wind just thinking about what was ahead, and would eagerly leave my house to attend training. My energy soared. The class format is multi-dimensionally conducive to learning. I immediately noticed the contrast between the physical environment at NOURISH and conventional educational settings. I would heave myself stiffly from the constriction of crowded, rigid seats in lecture halls or classrooms to settle gently into the freedom of open space and the comfort of cushions. The loft itself is beautiful, the light blue walls and wooden flooring are cast in a warm glow by soft lighting. The warmth of the class does not source exclusively from lights and cushions, however. Victor’s kindness and sincerity not only underpin his teaching but also pervade it. This pleasant atmosphere was encouraging and inspiring, and in being so was an ideal setting to learn in. There were no pretenses and no guises to see through; the instruction was presented in a take-it-or-leave-it fashion. Victor sent clear messages about his intentions, he stated explicitly that assignments and tests were not meant to trick or judge us. While this may seem like an obvious or unnecessary point, it caused in me a noticeable release of tension. I began to understand that Victor was “on my team” so to speak and that our goals were aligned. I was surprised by how much I appreciated this. And indeed, at no point, anywhere, was anybody ever treated with anything but respect. The curriculum has a logical progression and the lessons are as precise and clear as the subject allows (more so in anatomy than in philosophy, necessarily). It was well put-together, intelligible, and straightforward. The class format was further conducive to learning in that it was very engaging. The classes contained the elements of a lecture and a discussion section. I really enjoyed learning alongside students who were older than me, I appreciated the perspectives they brought to the material. If we students did not offer our thoughts or questions, Victor elicited them. Or, when the material provoked no objections or confusions we dutifully took our notes or absorbed quietly. But when something struck any of us as problematic, confusing, particularly interesting, or in need of further explication or exploration, we lingered on the topic. Victor allowed us to decide what concepts were worthy of deeper consideration and how much time to award them. He honored our inquiries and would make sure we were all ready before moving on. Sometimes the discussion was just among us students but sometimes Victor would be equally engaged. Even the assignments are engaging. As I delved into the assigned readings–all of which I expect to continue to refer to–I saw yoga principles emerging around me. The anatomy texts helped me to make new sense of my body and Donna Farhi’s Teaching Yoga helped me to make new sense of human interactions. We consistently discussed our findings in class so that the assignments felt coherent with the course. I loved that Victor provided personal feedback on work we turned in. He describes his exams as “conversations” and that is quite accurate. He challenged us to carefully consider our thoughts with gentle provocations: “How so?” and “Really?” were commonly scrawled on my papers. Conversations occurred not only among students and teacher. 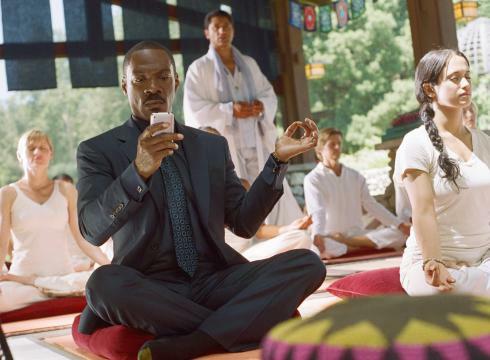 I soon noticed the principles of yoga communicating across other parts of my life. The yoga teacher training greatly supported my study of anthropology at UCSC. I had an unusual and lucky situation of being in a seminar titled “Hard Problems” at the same time that I was enrolled in teacher training. This course involved the investigation of unanswerable philosophical questions such as “What is the self” “What is learning” and “What can’t we know?” The seminar and the training reinforced and informed each other, and surprising meanings started to appear all over the place. One of the more concrete effects of teacher training went as follows: Two days before my twenty-page final paper was due for the seminar, I was staring confusedly at the panicky scribbles on my whiteboard and had an epiphany: the three stages of a yoga practice—recognition, exploration, and integration—were the same three stages of grappling with a hard problem. From this insight I realized exactly what I needed to do, and I rewrote the entire paper explicating those stages in the two days I had left. One month later the paper was returned: I had earned an A and frank commendation—from a stringent grader too! Since then I have come to realize that the paper, like my yoga practice, is a map of sorts that will serve me throughout my life. I am not done exploring the parallel between hard problems and yoga and I never will be. After I completed the courses it was time to enter the apprenticeship phase. The first time I had ever been in a class at NOURISH that was taught by a student teacher I was incredulous. “I could NEVER do that,” I thought. How mortifying it must be to teach while somebody is actively scrutinizing and evaluating you. But as I got to know Victor’s teaching style better throughout the training much of my anxiety about the apprenticeship fell away. It wasn’t actually a big deal, except in the sense that it was a really great opportunity to gain experience and to receive thoughtful insight and meaningful feedback. Besides, at this point I was fully committed. I was going to finish out the program. While the apprenticeship was at times nerve-wracking, it was also immensely fun. I got my first taste of the joy of assisting a student in their posture, and was touched by the peaceful expressions on the faces of students. The feedback sessions were not painful (although EVERY time I braced myself!). I think Victor and I laughed every time. The feedback felt well balanced, with both of us making positive and constructive comments. Of course I have complaints. I am a person who does not feel like I really understand something unless I have broken it down to its basic elements and have thoroughly investigated all the individual parts and their interrelationships (this means I feel hesitant so often that sometimes I have to just stop hesitating ). And so a program that lasts under a year cannot satisfy my desire to gain expertise in anatomy, physiology, and yoga history and philosophy. But I guess that’s not a serious complaint because I already knew this would be the case going in, and I respect the limitations of the program. Throughout all of this, I have begun to look at the world more creatively than I did before. I have gained some ability to transform situations by shifting or broadening my perspective, a skill that has allowed an inner flow of patience and gratitude to pervade my daily life. I now see interesting relationships between things—never before would I have thought of a song, a meal, a story, a termite mound, and a yoga class as structurally similar. I am becoming more aware of some of the artificial connections that allow systems (my own and otherwise) to cohere conditionally, and I notice what happens when these connections are threatened, or broken. This lesson would be disturbing without the next (and I wonder if this is the situation for many people). I have come to find–although I am inclined for theoretical and poetic reasons to say remembered—that at the fundamental level of everything, there is one indestructible, universal, simple, peaceful state–Samadhi. And though this knowledge is powerful, it does not undo the reality of or trivialize the embedded levels that involve pain, emotion, confusion, complexity, and therefore symbols, games, war, music, and art. So, seeing the inexhaustibility and consequence of all of it, I continue to question, to build, to deconstruct, to play connect-the-dots and hide-and-go-seek, and to entertain amusing ideas. I have been wondering for a while now, for instance–is Samadhi like honey, or is it like honeycomb? Perhaps both, definitely neither. Throughout the training we stumbled upon all sorts of topics—especially in the History and Philosophy of Yoga course—whose equalizing ambiguity places everybody in the same position of non-knowing; at these moments I felt simultaneously the senses of wonder, solidarity, and humility. I have begun to notice the presence of this weave within me more and more, and it feels absolutely wonderful. In all of its uncertainty, ambiguity can be a place of surprising stability. And reconciliations like such abound. We can have simplicity and complexity at the same moment. We find that difference and sameness are interlocked. Order and Chaos are not enemies but partners in crime. We can ground down into the mat even as we lift to the sky. Our lives can be uncontroversially peaceful and interesting. Discovering how is the great fun of yoga. “How has yoga teacher training affected your life?” asked friends and acquaintances. Well, yoga teacher training isn’t this thing that did something to me. That interpretation falls within the bounds of what Alfred Korzybski referred to as mistaking map for territory. That question, although I understand its meaning, implies that yoga teacher training has a unique agential identity separate from oneself. Yoga teacher training is a gateway and a process, an optional engagement in human life, the student her own unique agential person. For me, teacher training has provided contexts helpful for better understanding and enjoying not only yoga, but also my academic studies, art, music, writing, the people around me, and existence itself. Over the course of the program my trust in the practice of yoga and in myself has deepened, and my curiosity has expanded. And so, naturally, I keep on playing, my smile bigger than ever. NOURISH Inc. is a preventative health center. 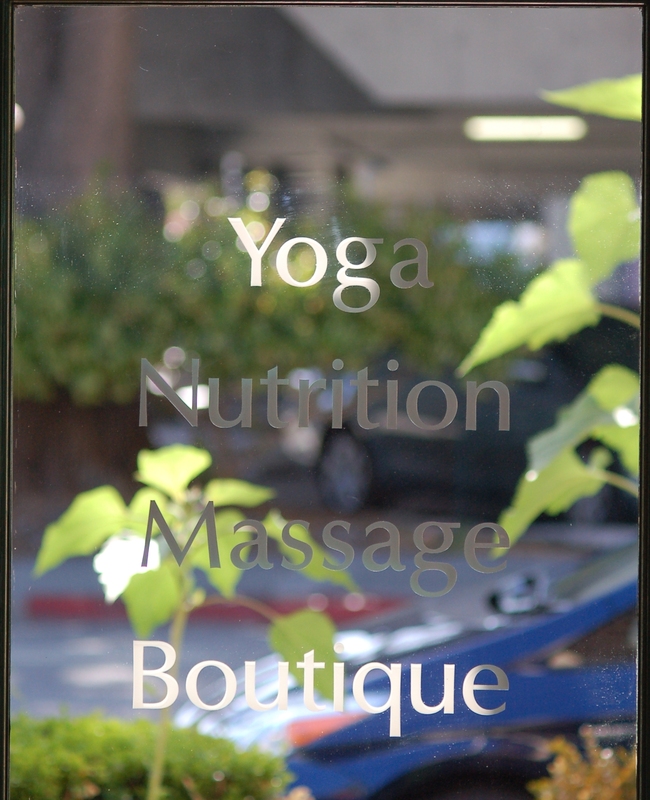 Through yoga, nutrition, and massage therapy, we educate communities on how to age healthfully, combat stress and injury, and reduce the risk of chronic disease. We are passionate about making a difference in the health of individuals, but we aren’t content with stopping there. We want to be a leading example in the health and fitness worlds – and that means calling out issues that clash with our mission to provide professional, reliable wellness education in an accessible and affordable format. On the other hand, there are exciting changes being made by organizations and individuals who are just as committed as we are to reducing chronic diseases and improving the quality of life for all. We want to acknowledge and learn from like-minded pioneers. Having that passion means that we are striving to be in as many cities as possible, all over the country. Santa Cruz is our flagship and home base, but some topics discussed here will reflect our thoughts, qualms, and excitements about the health and wellness landscape across the United States. NOURISH delights in sharing conversation with as many different types of people as possible, and all are welcomed to explore their own health and the health of the wider community here, on NOURISH Notes. Thank you for learning more about NOURISH. Be Well. Beautifully written with amazing insight. I really enjoyed reading this.